The fall brings the opportunity to collect ripe acorns, the fruit of the oak tree, for science classroom activities or home-based science projects. Botanically, the acorn is a nut containing a single seed encased in a tough leathery shell. Acorns of the northern red oak, Quercus rubra, the most common oak species in central Maine, provide fodder for studies of seed dormancy and germination. 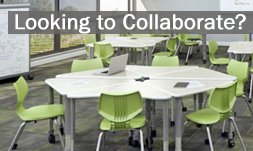 Worthington Direct can supply schools with all the furniture needed to study our growing world all year long. Visit www.worthingtondirect.com today and browse through science tables suitable for all classes, from earth science to advanced chemistry. Expand your classroom lab and add mobile science units with running water, and adjustable science tables, perfect for physics! Students can collect acorns, test them for viability by flotation, and study stratification and germination. Many excellent science fair projects have sprouted from classroom activities involving acorns. Collecting acorns Acorns of northern red oak take two years to mature. They are best collected as soon as they fall from the tree (early September in central Maine), since acorns left on the ground for any length of time will be eaten by animals or infested with disease. In fact, only one in 500 acorns survives to become an oak seedling. No wonder oak trees produce so many acorns! Second-year acorns are brown and often detached from their cap; first-year acorns that have dropped prematurely are green and typically remain capped. Although the first-year nuts will not germinate, you may want to let the students collect them and discover this for themselves. Also, acorns with small holes drilled by weevils or other insects are not likely to grow.